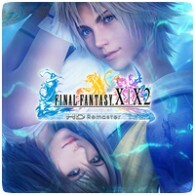 To celebrate the release of Final Fantasy X/X-2 HD Remaster on the PS4 this week, Square Enix has released two dynamic themes for fans of the game to enjoy. The two themes, titled To Zanarkand and Blitzball, are available to download exclusively for the PS4 for £1.69/€1.99. Both the themes include background music and imagery from the game. The PS4 version of the game also supports cross-save, so if you already have the PS3 / PS Vita versions, you can continue playing on the PS4, and vice-versa. Unfortunately, all the versions of the game are sold separately, but share the same Trophy information. It’s also a shame that the themes aren’t free to download. Check out a preview of the themes below.